As staff from the Law Society of Scotland migrate over to the new 'independent' Scottish Legal Complaints Commission, destined to begin its official work on the first of October 2008, tomorrow, it has been revealed today the 'independent' commission's monitoring role over the Law Society's Guarantee Fund and infamous Master Policy indemnity insurance arrangements may not begin until well into 2009. 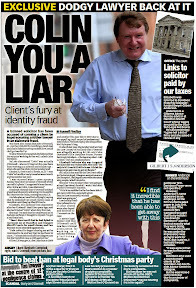 As the 'independent' Scottish Legal Complaints Commission published it's operations rules late last week, the absence of any reference to the Commission's 'monitoring' role over the Law Society's well practiced insurance scams to thwart negligence claims against solicitors worried several clients whose claims have been stalled by widely reported corrupt practices by Law Society officials who have chosen to directly intervene in complaints and claims against crooked lawyers. 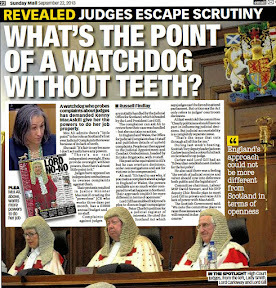 Jane Irvine, Chair of the Scottish Legal Complaints Commission admitted : "This is not in the Rules. The rules establish how we will deal with complaints. The SLCC has a range of other functions-including oversight of the PI policies & of course how misconduct will be handled. These latter two are not obligatory functions - but we shall be undertaking them within the first year." Jane Irvine went on "If you read the Act the role is a "monitoring" role and we "may" do it. As i say we have determined we "will" do it! and work is already in hand. By the end of our first year we will be publishing a report on the effectiveness of the funds. It will happen & so far we have had 100% willing co-operation from the professional bodies ..."
So, effectively, there will be no monitoring of the Law Society Guarantee Fund or the Master Policy for Professional Indemnity Insurance for some time, enabling the Law Society to kill off a few more negligence cases and prevent a few more clients obtaining access to legal services to pursue 'crooked lawyers' for financial recovery. It is also unclear as to whether the 'independent' SLCC will be allowed access to monitor client's financial claims against rogue lawyers which date before the SLCC beings its work on October 1 2008, and no information has been forthcoming from the Commission that question .. while no doubt the Law Society will be using the time to kill off as many claims as it possibly can …. 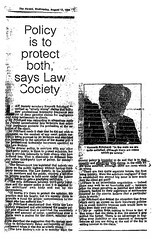 Law Society Chief Douglas Mill’s memo to the then Law Society President Martin McAllister (now appointed by Kenny MacAskill to appoint Judges) details a plan by Law Society officials to successfully thwart negligence claims against a string of crooked lawyers. 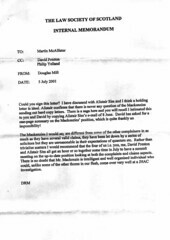 The memo was then the subject of a bitter confrontation between John Swinney and Douglas Mill at the Scottish Parliament hearings into the LPLA Bill during 2006. How would the Scottish Legal Complaints Commission deal with that kind of evidence ? One well placed legal insider claimed today "The delays in any oversight to the Master Policy and Guarantee Fund are no accident ... the Law Society might be going along with what is in the Act itself but the truth is they do not want any outside scrutiny of what is going on with their defence of financial claims, as the entire process is full of corruption from start to finish"
Another scandal involving client claims against the Law Society’s Master Policy emerged when Douglas Mill’s predecessor, Kenneth Pritchard wrote to a firm of solicitors advising them to cease acting for their clients who were trying to pursue negligence claims against crooked lawyers through the Law Society’s Professional indemnity insurance scheme. How would the SLCC handle such a situation, the likes of which is being repeated on an almost daily basis where clients claims against the Master Policy are ‘designed to fail’ by the legal profession itself. Personally, as the letter from Douglas Mill to the legal aid board over me shows, I am not surprised the Law Society doesn't want any outside scrutiny of the Master Policy or the Guarantee Fund. 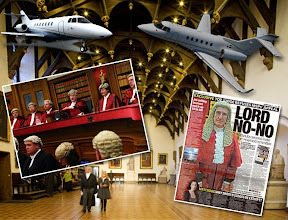 I like many, have experienced the intense efforts the Law Society and it’s most senior staff will go to defeat claims and prevent even my own access to legal services to get anywhere near these 'compensation schemes' which are little more than fronts for financial operations which in my opinion rival the drug barons of South America. 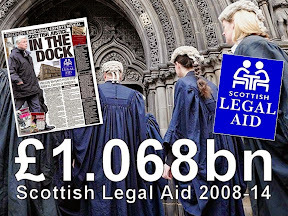 Legal Profession & Legal Aid (Scotland) Act 2007 : 39 Monitoring effectiveness of guarantee funds etc. Far too much "may", don't you think ? A distinct lack of obligation to do certain things which consumers should be entitled to expect, as part of the 'increased consumer protection' which the LPLA Act and the SLCC were designed to give clients of Scottish solicitors. Insiders who are unhappy with the way the 'independent' complaints commission is being hijacked by the legal profession itself, point to a lack of motivation on the part of the Scottish Government for allowing the Law Society to take over the process of forming the SLCC, staffing the ‘independent’ Commission with former Client Relations staff who have caused significant hardship to thousands of clients, and filling the 'independent' commission's board with ex Law Society Committee members, lawyers and close allies of the legal profession. Douglas Mill : “The civil servants seem incapable of distinguishing between the master policy (which is negotiated annually on behalf of all solicitors with insurers by the insurance brokers Marsh) and the wholly separate guarantee fund," he adds. "They want to look at claims (against the master policy) and how these are handled. But they cannot do that. If they do try to do this, I believe the insurers and the Financial Services Authority will tell the Scottish Parliament to take a hike." Law Society boss Douglas Mill lied to Swinney, Parliament as secret memos reveal policy of intervention & obstruction on claims, complaints. The Scottish Government's promised access to justice reforms, long stalled by Justice Secretary Kenny MacAskill and members of the Judiciary such as the Lord President, Lord Hamilton, have been brought into question by new moves to get the Scottish Parliament to consider the issue of opening up the lawyers monopoly over the Scots legal services market. 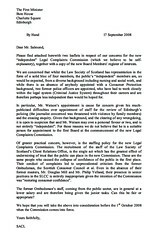 Petition PE 1197, raised by Bill Alexander, a member of the Association of Commercial Attorneys, comes on the back of a series of gaffes, excuses, and outright prejudice by the Justice Minister against applications from individuals outside the powerful but corrupt lobby of the Law Society of Scotland to apply for rights of audience & representation which would allow the public to choose their legal representatives, bringing more badly needed competition into Scotland's woefully poor quality legal services market. 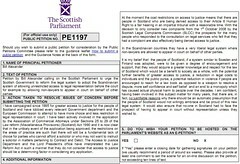 Petition PE1197 - Allowing non-lawyers to enter the legal services market : A Petition by Bill Alexander calling on the Scottish Parliament to urge the Scottish Government to reform the legal system to adopt the Scandinavian system of allowing unrestricted access to legal representation before the court for example by allowing non-lawyers to appear in court on behalf of other parties. Mr Alexander, who has been campaigning since 1995 for reform of legal services in Scotland goes onto describe his efforts to open the Scottish legal services market, efforts which have been obstructed by several political administrations, and always by the legal profession. Mr Alexander : “I have been actively involved in the application by the Association of Commercial Attorneys under Sections 25 to 29 of the Law reform (Miscellaneous Provisions) (Scotland) Act 1990 and it is now clear that in the unlikely event of the application being approved, the restrictions on the areas of practice are such that there will still be a fundamental lack of choice for parties who cannot afford a solicitor or who may not want to instruct a solicitor in matters pertaining to Contract and Delict. 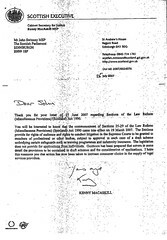 Mr Alexander’s petition to seek the opening of the legal services market, which is supported by David Whitton MSP, has been raised because to-date, all access to justice applications made under Scotland’s existing legislation contained in the Law Reform (Miscellaneous Provisions) (Scotland) Act 1990 have been refused by the Scottish Government, after taps on the shoulder from the legal establishment, who view legal services as their fiefdom, to the exclusion of all others. 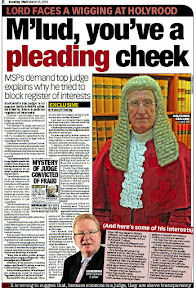 Mr Alexander goes on in his parliamentary petition to explain a bit more on how unfair the Scottish closed shop lawyer monopolised legal services market is to the Scots public, obstructing access to justice at almost every level, where in effect, it is the legal profession currently, who determine the public’s access to justice, rather than a person’s own choice. While Scotland seems to be left out of legal services reform, which was recommended by the OFT at Westminster, Scandinavian countries enjoy a more open view of their legal services markets. Mr Alexander continues : “In the Scandinavian countries they have a very liberal legal system where non-lawyers are allowed to appear in court on behalf of other parties. It is my belief that the people of Scotland, if a system similar to Sweden and Finland was adopted, were to be given a degree of encouragement and support, that they would acquire a greater knowledge and respect for the law of Scotland which would be a benefit to society as a whole, with the potential further benefits of greater access to justice, a reduction in legal costs to individuals and the public purse, a potential reduction in violence if people are encouraged to reach for a law book as opposed to a weapon to resolve a dispute, more self confidence and self belief and an end to a monopoly which has caused actual physical harm to people over the decades. Opening the legal services market up to competition is a must, but as we can see, there seems little appetite from the Scottish Government on this issue, where even the Justice Secretary himself appears unable to slip the Law Society’s puppet strings controlling policy moves to block wider public choice of legal representation and increased consumer safeguards against rogue lawyers. 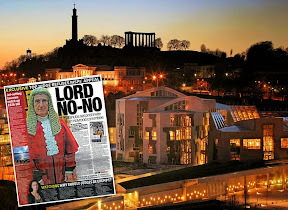 Perhaps it will take more than the Scottish Government to make the moves and open up Scots lawyers private monopoly over legal services, and if the Parliament itself fails, the OFT might have to step in north of the border to protect the public’s right of access to justice where the Scottish Government itself is failing to protect. 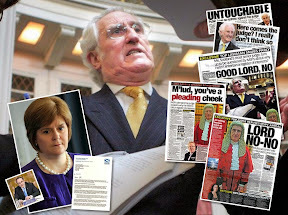 The newly created Scottish Legal Complaints Commission, which was intended as a bold attempt to clean up Scotland's notoriously corrupt legal profession has just posted its rules on what types of complaints against 'crooked lawyers' it can and cannot investigate. 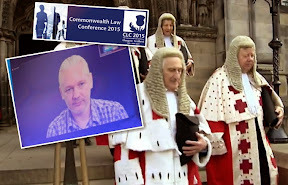 The final set of rules for the SLCC, which you can view here : SLCC Rules have been widely condemned by campaigners and consumers as having too many loopholes and let outs for the Law Society to take over investigations and shut them down as 'conduct issues' which the new Commission is not entitled to investigate. 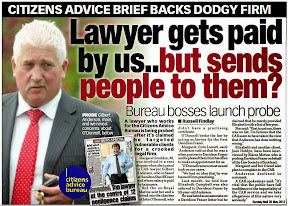 However as a shock to many clients of solicitors who have complained against poor work or corrupt practice by their solicitors, anyone who instructs a solicitor to act before 1st October 2008. are to be excluded from any assistance from the new Commission, which is refusing to investigate any complaints against crooked lawyers before it begins work next week. 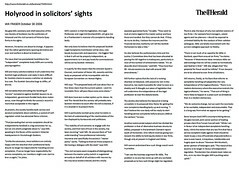 This refusal to look at complaints of the past conveniently excludes a huge amount of serious client complaints which the Law Society of Scotland has deliberately bogged down in paperwork lasting years in some cases, in the legal profession's long running battle against consumers to protect solicitors against complaints and financial claims at all costs. 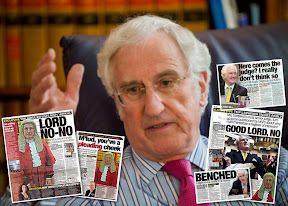 "It is proposed that the Commission will investigate complaints about service if you instructed the legal practitioner to do the work you wish to complain about after 1st October 2008. 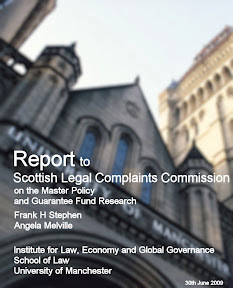 If the work you wish to complain about started prior to 1st October 2008 then the Commission will keep a record of it, but will pass the complaint to either the Law Society of Scotland or the Faculty of Advocates to investigate. If you are unhappy with the way those bodies handle your complaint the Commission may consider complaints about their handling." 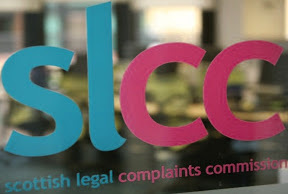 A client involved in a current complaint being investigated by the Law Society of Scotland described the new Commission's complaints process as a 'fit up' and one which people "shouldn't be trapped into, as the entire process is controlled by lawyers and makes sure you get nowhere even if they steal every single penny you have". He went onto say "The Law Society have deliberately drowned me in paperwork, delays, excuses and have done everything to stop me from getting some justice after my lawyer ruined me". 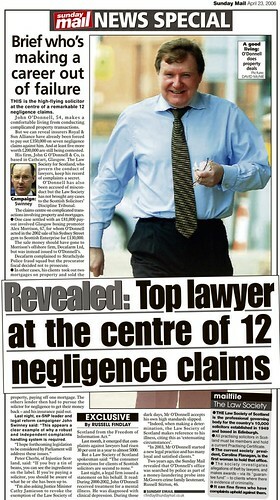 The client's complaint apparently involves allegations of criminality and embezzlement which so far have not been passed over to the appropriate authorities by the Law Society of Scotland, which cannot investigate criminal matters .. but as many clients know .. the Law Society can certainly cover up even criminal issues to protect crooked lawyers. Another client who also did not wish to be named, for fear of retaliation from the Law Society said "This new Commission is full of ex Law Society staff and members.Its just a new name for the Law Society who will see to it through their own people that complaints against crooked lawyers get nowhere as usual"
Jane Irvine has been the Scottish Legal Services Ombudsman since April 2006. She is a specialist in consumer complaints having held a number of positions as a mediator, arbitrator and adjudicator of consumer complaints. Between 2001-05 she was HM Lay Inspector of Constabulary, and considered the handling of complaints against the police in Scotland. She later prepared a report on modernising police complaint and conduct systems for the Justice Minister. She also sat on a range of disciplinary tribunals and currently sits on the Discipline Board of the Institute of Actuaries. Douglas Watson was a police officer for 30 years and is currently an adult protection development officer for Edinburgh, Lothian and Borders Executive Group. Mr Watson has previously been a chairing member of the Child Protection Committee, Scottish Borders Council and Edinburgh Drug and Alcohol Action Team. He was a lay Committee member for the Law Society of Scotland and is a Sessional Inspector with the Social Work Inspection Agency. George Irving was Director of Social Work North Ayrshire Council and during the period 1999-2000 he served as President of the Association of Directors of Social Work (Scotland). From 2001-2006 he was Chair of NHS Ayrshire and Arran. He led the National Support Team, Management of Offenders 2005-2007 and is currently a Visiting Professor to Glasgow Caledonian University School of Health and Social Care. Ian Gordon is a retired Deputy Chief Constable of Tayside Police. He is currently an associate professor in policing for Charles Sturt University (Australia). He was Chair of the Association of Chief Police Officers in Scotland (ACPOS) Professional Standards Business Area and Vice-Chair of ACPOS General Policing Business Area. Alan Paterson is Professor of Law and Director of the Centre for Professional Legal Studies at Strathclyde University, an independent "Think Tank" on the Scottish Legal System. He has researched in, and published on, the regulation of lawyers and the provision of public legal services for over twenty years. Although he is qualified as a solicitor in Scotland, Professor Paterson has never practised. He served as a co-opted member of the Council of the Law Society between 2001-2008. He is currently a research adviser to the Scottish Legal Aid Board, and a member of the Judicial Appointments Board. David Smith is a retired solicitor. He was a commercial property partner with Shepherd and Wedderburn LLP for 34 years, including 6 years as Chairman. He has extensive experience of client relations, professional negligence and risk management. Margaret Scanlan is an accredited specialist in family law at Russells Gibson McCaffrey. 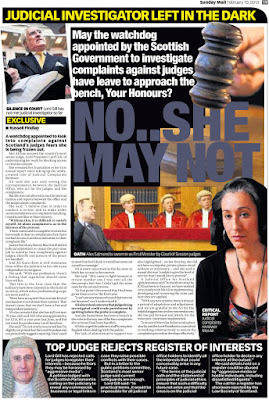 She has also tutored in family law at Glasgow Caledonian University. Mrs Scanlan was a member and latterly Deputy Chair of the Scottish Legal Aid Board between 1997-2007. She has also been Director of the Legal Defence Union between 1998-2002. Mrs Scanlan was a founder member of both Strathkelvin Women’s Aid and the Family Law Association. She held the post of Chair of the latter between 1992-93. 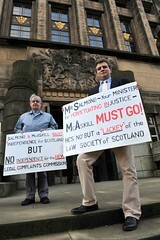 The Scottish Government’s lack of motivation to reform regulation of the corrupt Scots legal profession has led to calls for the sacking of Justice Secretary Kenny MacAskill, with consumer organisations and individuals promising regular protests and demonstrations outside the First Minister’s residence, other Scottish Government buildings, and the Scottish Parliament itself until something substantive is done to raise levels of consumer protection against what many see as a wicked and unjust legal system serving only itself. Last week, the first in a series of protests was staged at Alex Salmond’s Bute House residence, to hammer home to him personally, the fact his government is playing second fiddle to the Law Society of Scotland over the creation and running of the new, but not independent Scottish Legal Complaints Commission. Whatever happened to John Swinney MSP, the Cabinet Secretary for Finance, who was instrumental in revealing corrupt practices by the Law Society of Scotland and its top officials against victimised clients. Mr Swinney was so effective in his quest while in opposition, many believe his confrontation with Douglas Mill, led to his resignation. John Swinney confronts Law Society Chief Exec. Douglas Mill at Holyrood, but now in power, Mr Swinney appears weak on regulatory reforms & consumer protection against crooked lawyers. A letter was handed in by protestors to St Andrew’s House, charging that “The recruitment of the staff of the Law Society of Scotland’s Client Relations Office, is the single act which has the greatest effect of undermining of trust that the public can place in the new Commission. These are the same people who caused the collapse of confidence of the public in the first place. 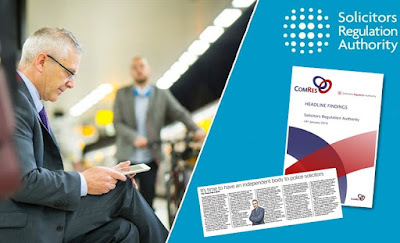 Their conduct of complaints led to unprecedented criticism from the former Ombudsman, the Scottish Consumer Council et al. Even in the absence of their former masters, Mr. Douglas Mill and Mr. Philip Yelland, their presence in senior positions in the SLCC is entirely inappropriate given the intention of the Commission was “restoring consumer confidence”. 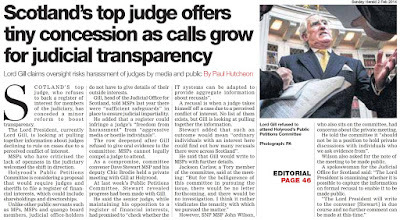 It is easy to see the Law Society of Scotland, whose aim it is to retain control of regulation, have found easy bedfellows with the current administration, who have evidently allowed the Law Society to ensure its staff have the greatest say in what was to be a new independent complaints commission, sadly no longer independent as Mr MacAskilll waved through ex Law Society Committee members and other legal profession insiders to ensure it towed the profession’s line against client complaints. 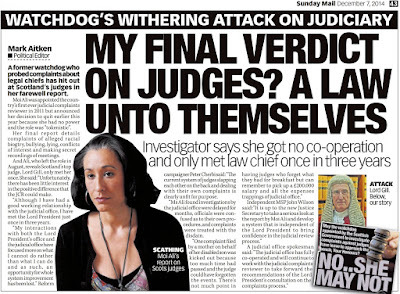 Quite an indictment of things as they stand then .. and little wonder people feel they must take to the streets, even with our own Scottish people supposedly running the Government now … but why is the legal profession being allowed to get away with murder by the SNP ? 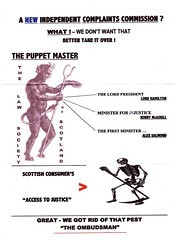 One of the leaflets handed out by protestors at Bute House last week, charged the Law Society of Scotland with being the “puppet master” of the Scots justice system, ensuring its own survival as regulator of the Scots legal profession at the expense of consumers and the Scots public. The Lord President, Lord Hamilton, Justice Secretary Kenny MacAskill, and First Minister Alex Salmond all come in for criticism in the leaflet, allowing the Law Society’s very public ‘take over’ of the new Complaints Commission. Protestors outside Bute House : Victims of a dishonest legal profession surely have a right to know why the Scottish Government is still allowing people to be continually abused by crooked lawyers and corrupt, prejudiced regulation of the legal profession. 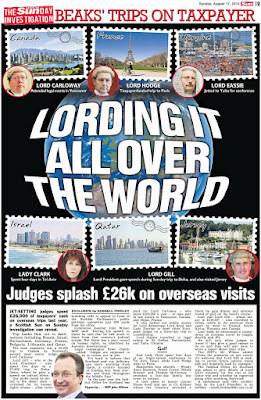 As some point out : Is there a profitable reason for allowing the legal establishment to continue to ruin lives and continue its dictatorial approach to anything which may affect its position in public life ? So much could be achieved and so many lives put right, by just a little effort to heal the sins of the past .. but why is that so difficult to enact ? How about it Alex ? make the effort and do some good ? We are all Scots now, aren’t we ? 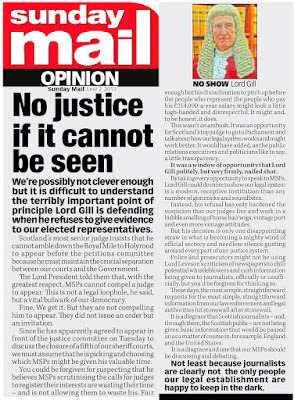 It is painfully obvious to many in Scotland the Government, even our so beloved SNP Scottish Government, our own people, are not attending to the needs of the country when it comes to Justice and Law. What we have been so used to complaining about for years under previous administrations, continues under the present Government with little or no change at all .. in fact, some would say, the levels of injustice are rising, as the present Justice Secretary Kenny MacAskill, seems unwilling or unable to put a first foot forward and do something for his fellow countrymen and women, a simple little thing, which would be to resolve cases of injustice, and bring reconciliation to thousands of people who have became victims of Scotland’s failing justice system. A proposal has come forward for a ‘silent walk for justice’ which I believe we should all support. It is surely in our best interests as a people, to bring to the attention of the rest of Scotland, the fact there exists a terrible scar on the face of our country – our failing justice system which now only serves to protects itself against the many mistakes it makes, and many victims it creates. People are innocently put to jail, while the criminals walk free. Families are fighting for years and years to get crimes that were committed to their loved ones investigated, but in vain. There are victims of crimes that are not compensated and cared for. People are robbed by the council, of the Common Good Land that was donated to them ages ago. There are violence against women and sexual abuse against children, lawyers cheating their clients, authorities withholding information and covering up, and so on. The list could be long and all of you reading this have your own severe cases to add. A well functioning justice system is one of the foundations of a human and civilized society, and that is what we want this great country, Scotland, to be. Living in a democracy we also have the right to chose those who are to represent us politically. And we also have the right to express our selves when we are not content with their job or the conditions of society. Therefore we are writing this letter to all of you suffering from injustice. Let’s come together and make our voices heard. We suggest that we make “A Silent Walk For Justice” to show politicians, media and the public of Scotland that we are not satisfied with the current justice system and that we want a change, now. Let´s walk the Royal Mile down together from the castle and stop outside the Parliament. All of us bringing pictures of the ones, or what, we are fighting for and candles to lit outside the Parliament in the dark. Let us also put a short text together where we ask for justice for all of us, that we all sign, and hand it over to The Minister of Justice Kenny MacAskill, or who could be willing to meet us outside. We want this walk to be absolutely peaceful and silent and let our pictures and candles speak for our mission. Our suggestion is that we make The Silent Walk for Justice one afternoon the first week in December, since we then will be in Scotland for the anniversary of my daughter Annie Borjesson’s suspicious and unsolved death. We will get back with day and time for the Silent Walk for Justice as soon as Mr. MacAskill has replied to what day he can see us. Please write to let us know if you will be able to attend or if you have any suggestions about the walk. We also need one man and one woman to speak for us when handing over our request. Hope to hear from you all. Remember that one and one we may be weak, but together we will be strong! Guje Borgesson and Maria Jansson. Justice Secretary Kenny MacAskill, in response to questions from David Whitton MSP on the subject of applications from legal groups seeking rights of representation to expand public choice and competition in Scotland's legal services market, has blamed delays of over a year in considering applications on ‘hearing back’ from the Lord President’s, Lord Hamilton's office. Justice Secretary Kenny MacAskill - Delays and buck passing - an attempts to save solicitors monopoly of legal services ? The Cabinet Secretary for Justice (Kenny MacAskill): I acknowledge the attention that David Whitton has given to this issue on behalf of those who are involved, including his constituent. He has submitted previous questions and has engaged in correspondence on the matter. Mr Whitton will know from the inquiries he has already made that the association recently clarified its status by incorporating itself as a limited company and submitted a revised draft scheme in late June. I have now completed my consideration of the association's application and, as the process requires, I have passed my views to the Lord President. I will ensure that Mr Whitton continues to be kept informed as to progress and the outcome. David Whitton: As the cabinet secretary said, there has been correspondence between us on the matter. When he wrote to me in June, he commented that the provisions had been in place for a year. It is now over a year since the association made its application. However, there seems to have been a flurry of activity since I lodged my question last week. Mr MacAskill said to me previously that he would judge the application on its merits, despite his prejudiced published opinion. 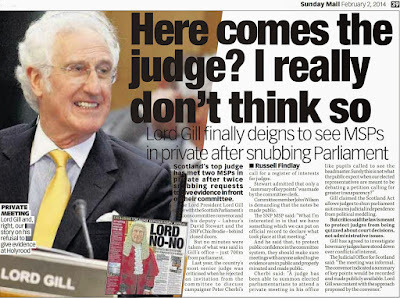 I now ask him when the decision will be made on the vital matter of third-party representation in Scotland's courts. Can he get in touch with the Lord President's office to persuade it to get a move on as well? Kenny MacAskill: I cannot give a definite date, as it will depend on hearing back from the Lord President's office. I advise Mr Whitton—as I did in my initial answer—that we have submitted our position to the Lord President, who will have to consider matters. I am sure that he will do so expeditiously. I am advised that he is currently on holiday—doubtless taking a well-earned rest—but I am sure that he will deal with the matter promptly on his return. The very poor performance by Justice Secretary Kenny MacAskill under questioning over the reluctance of the Scottish Government to open the legal services market up to those applying under the existing legislation, certainly shows there is no appetite on the Scottish Government’s part to serve the public interest and give greater choice and variety to the Scots public in legal representation. You will be interested to know that the commencement of Sections 25-29 of the Law Reform (Miscellaneous Provisions) (Scotland) Act 1990 came into effect on 19 March 2007. The Sections provide for rights of audience and rights to conduct litigation in the Supreme Courts to be granted to members of professional or other bodies, subject to approval in each case of a draft scheme embodying certain safeguards such as training programmes and indemnity insurance. The legislation does not provide for applications from individuals. Guidance has been prepared that covers in some detail the provisions to be contained in draft schemes and the consideration of applications. I hope this reassures you that action has now been taken to increase consumer voice in the supply of legal service providers." Justice Secretary Kenny MacAskill over a year ago told Cabinet Colleage John Swinney “I hope this reassures you that action has now been taken to increase consumer voice in the supply of legal service providers." 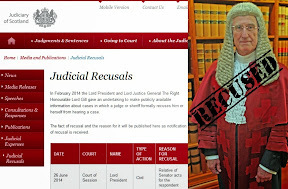 Importantly, the delays and unreported constant refusals of such applications for rights of audience & representation by Mr MacAskill and the Lord President highlight the dangers of having two individuals in charge of access to justice in a democracy. 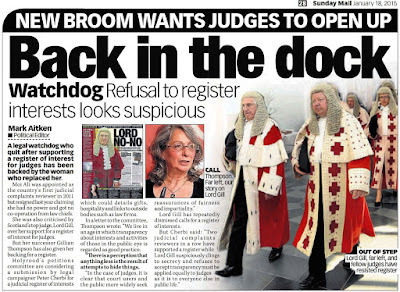 It is the case, sadly, that two men, and a private self governing institution control you, the public's access to justice and legal services in Scotland. The two men in question are Justice Secretary Kenny MacAskill and the Lord President, Lord Hamilton. 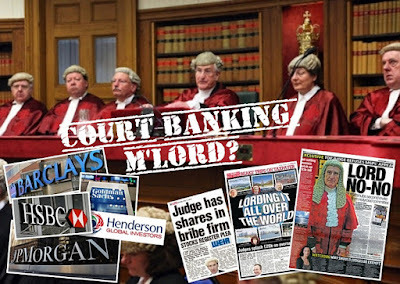 The self governing body is of course, the Law Society of Scotland which acts for the legal establishment to protect itself and its members from any changes not in its interests. 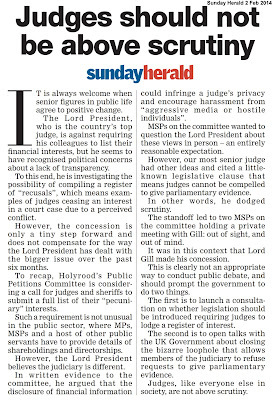 Those same two men, Justice Secretary Kenny MacAskill, and the Lord President, Lord Hamilton, are or have been members of that same private self governing institution, the Law Society of Scotland, whose purpose for decades has been to keep monopoly control of the public's access to legal services by successfully campaigning to keep access to justice legislation out of the public's reach for some seventeen years. 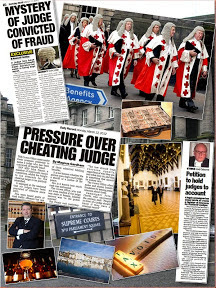 Surely in view of the difficulties those who currently control access to justice in Scotland seem to have in opening up the legal services market to competition, the issue should be passed to either a new independent body created for that purpose, or a Parliamentary Committee to ensure such applications are dealt with independently from the legal profession itself, and that effective, transparent and accountable procedures are established for opening up Scotland’s legal services market to non-lawyers sooner rather than never. If you were hiring a lawyer or legal firm to handle your legal business, you would surely want to know if there was anything in their past, such as client complaints or poor legal service, maybe charges of embezzling client funds or ripping off a few old ladies which might just make you think twice about using that particular legal firm or that particular solicitor ? Just as you look at the ingredients of some foods, you surely want to look at the ingredients (and past) of your lawyer who will handle affairs concerning the most important parts of your life ? 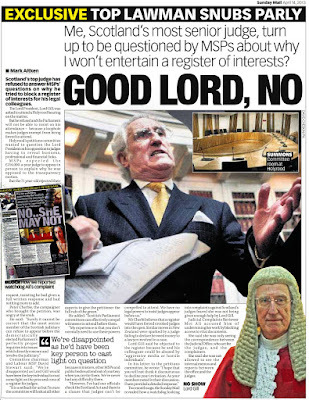 Well here is an article today which might just interest readers so inclined to question their solicitor’s service record before committing themselves to a possibly horrendous experience they may never be able to recover from …. In two announcements today by the Scottish Legal Services Ombudsman, the Law Society is criticised for their almost routine policy of 'not following' the Ombudsman's recommendations concerning two complaints, one a complicated family matter involving guardianship & the transfer of titles, and the other involving a fairly straightforward winding up of a deceased's estate. The Legal Services Ombudsman, Jane Irvine, who will soon go on to her new post as the Chairman of the new Scottish Legal Complaints Commission, was critical in two of her reports of the Law Society of Scotland in their poor handling & regulation of both complaints which were reported to the Ombudsman’s office for further investigation. Unfortunately, due to the demands of the legal profession, neither the complainers, or the legal firms involved in the complaints can be identified, making it highly probable, other clients may or already have fell victim to the same legal firms in similar or other issues which have went on to generate complaints. 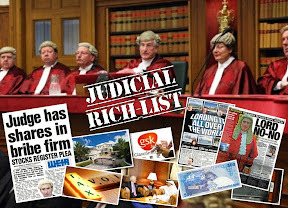 The lack of identification of those legal firms and solicitors involved in what appear to be very serious illustrate the problems of informing and warning the public of crooked legal firms in Scotland. If you can get through the Mrs X, Mr Y and various letters of the alphabet such as "T" assigned to represent the unidentified firms of rogue lawyers, then perhaps the notices may make some sense in their content. 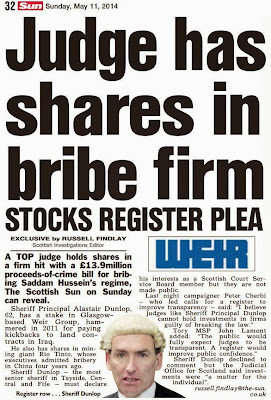 However, from my own experience in issuing reports on how crooked a firms of lawyers are, or how corrupt the Law Society of Scotland has been in protecting a firm of crooked lawyers against a client complaint, it is much better to name and shame the legal firm and the solicitor concerned, not only to assist the poor client who has already been ripped off, but also to protect and warn the rest of us, and any potential clients of what this legal firm or solicitor has been doing to other clients. Regulatory disclosure of all solicitors and legal firms, as I have written before, must be made mandatory to all prospective clients before they sign up a legal firm or solicitor to represent their interests. It is perhaps the ultimate level of consumer protection which must be applied in the circumstances of dealing with one's legal affairs, often the most important parts of your lives. 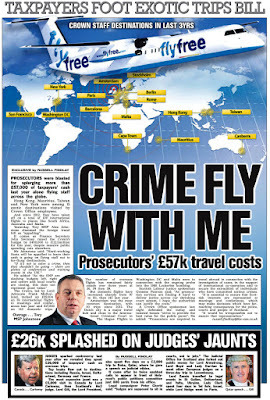 Lets hope the new Scottish Legal Complaints Commission will be more effective in their investigation of client complaints against crooked lawyers and enforcement of the necessary action. However, as the SLCC is to be staffed by the Law Society of Scotland, perhaps they wont be as effective as promised by the Legal Profession & Legal Aid Act (Scotland) 2007.. and whose fault is that Mr Justice Secretary MacAskill ? 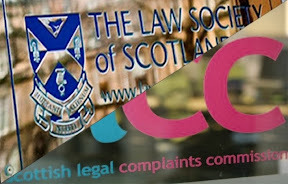 Failure of the Law Society of Scotland [LSS] to comply with a recommendation from the Scottish Legal Services Ombudsman arising out of an Opinion by the Ombudsman on the Law Society’s handling of a complaint. Mrs X, Mrs Y and Mrs Z went to the solicitors T, for advice about applying for guardianship of Mr X [Mrs X’s son] and to transfer the titles to Mrs X’s house into the names of Mrs Y and Mrs Z. The house had originally been bought in Mrs X and Mr X’s names. The solicitors T failed to secure guardianship of Mr X. Mrs X, Mrs Y and Mrs Z therefore instructed another firm of solicitors H in this matter. The LSS investigated 11 complaints of inadequate professional service against the firm of solicitors T and one complaint of professional misconduct against an individual named solicitor in that firm. The LSS upheld 6 complaints of inadequate professional service. The LSS decided to take no action in relation to the other 5 inadequate professional service complaints and the complaint about professional misconduct. Mr Y complained to me on behalf of Mrs X, Mrs Y and Mrs Z about the LSS’s handling of their complaint and in particular that it was guardianship of Mr X that his family wanted and that they had instructed the solicitor accordingly. Following my investigation, I concluded that I was critical of the manner in which the LSS had reached its decision in relation to Issues 1, part of 7 and 9. I was not persuaded or satisfied with the reasoning provided by the LSS in respect of these issues. I therefore recommended that the LSS reconsider all of these issues. 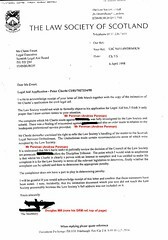 In relation to Issue 1 – I found that Mrs X, Mrs Y and Mrs Z had plainly and clearly asked the solicitors by letter to represent them in gaining guardianship of Mr X and this had not happened. There had been a failure to carry out an instruction. I recommended that the LSS should reconsider this complaint and provide detailed reasoning for its decision. Regarding Issue 7 – I did not think that the LSS had provided clear reasoning in reaching its decision in relation to this complaint. The LSS had upheld Issue 5 which looked at the solicitors’ failure to provide the complainers with clear advice and instructions as to the format of the medical reports required and how to obtain these. Issue 7 looked at the failure to identify and approach the appropriate medical practitioners directly. I did not think that that the LSS had provided sufficient detailed reasoning in relation to identifying appropriate medical practitioners. In relation to Issue 5, the LSS had concluded that there was an obligation on the solicitors to ensure that the complainers were aware of the terms of the Act. I thought this should apply equally to this complaint. In relation to Issue 9, I considered that the LSS had given too much weight to one piece of evidence and felt that there was in fact no evidence of what had or had not been said during a meeting. I also recommended that the LSS pay Mr Y compensation and costs for the stress and inconvenience caused by the LSS’s inadequate investigation. The LSS considered my recommendations and did not consider that it was necessary to accept the recommendations. In the LSS’s view, the Committee had provided comprehensive reasons for its decisions and, in particular, why it had departed from the Reporter. The LSS said that the Committee’s reasons were sustainable. They were not perverse, illogical or clearly wrong. The LSS was not persuaded that the points made by the Ombudsman were so fundamental that the decisions reached by the Committee ought to be disturbed. The LSS was also content that the decisions were properly explained. Issue 1 – The LSS said that the phrase “Guardianship” was legally meaningless. The LSS said that what could be sought was either a Financial Guardian, Welfare Guardian or both. The LSS went on to explain that such a Guardian was appointed by the Court and it was a specific person who was appointed. Accordingly, to say that a number of people wanted Guardianship, was, in legal terms meaningless. Accordingly, to say that the solicitors had plain and clear instructions regarding Guardianship could not be correct. The LSS said that as the term did not make sense in law, they were therefore not clear instructions. The Committee did not consider that the solicitor could be criticised for not doing something which could not be achieved in law. The LSS stated that what the Committee had done was to look behind the issue and note that at the root of the complainer’s concerns was the transfer of the title of the property. It was the LSS’s view that on the instructions the solicitors had, they exercised their professional judgement that in order to obtain what the complainers were really after was best done by way of an Intervention Order and the Committee considered that this was a reasonable exercise of judgement. Issue 7 – Again, the LSS did not understand why the Ombudsman did not totally follow the Committee’s reasoning in relation to this issue. The Committee noted that the solicitors agreed with the complainers that the complainers should approach the medical practitioners as a cost saving measure. The LSS wanted to emphasise that there was an agreement that the complainers would do this and the solicitors could not be criticised for failing to identify and approach when it had been agreed otherwise in order to (a) save money and (b) the complainers would know whom to approach as treatment was already being given. The LSS noted that I had made reference to Issue 5. The LSS commented that there was a difference between Issues 5 and 7 in that the identification of the doctors was a different issue from giving the doctors clear information as to the form of the medical report required to satisfy the Court. Issue 9 – The LSS stated that it was for the Committee to assess the evidence. There was conflicting evidence from the parties as to what happened. The other two pieces of evidence were, firstly, the £500 payment to account and secondly, the fact that the file was silent. The Committee regarded the latter issue as neutral. The Committee considered that the payment of £500 was a factor to be weighed up in the balance. It was accepted that it did not prove that the solicitors told them, but it was supportive of the solicitors’ position. The LSS did not accept that the payment was an irrelevant factor; rather it was one factor to be weighed in the balance. It did not prove that the solicitor did not do something, but it was supportive of their position and the Committee were entitled to decide the weight to be attached. The LSS said that if this matter was considered irrelevant then all the Committee would have been left with was two conflicting views and a silent file and would not have been able to uphold the issue because of lack of evidence. The LSS was content that the decision reached was reasonable and reasonably explained. I was concerned that the LSS had missed the crux of Mrs X, Mrs Y and Mrs Z’s complaint in relation to Issue 1. Put simply the complainants had asked the solicitors to do something for them and this was not carried out. The LSS had attempted to look behind the request and had not upheld the complaint on this basis. If a specific instruction has been given to a firm of solicitors, a client would expect this to be acted upon and if there was a problem with the instruction as given, I would expect the solicitors to explain this to the client and explain what they are able to do. This was the complaint that the LSS agreed to investigate and is the issue that the LSS has side stepped. In relation to Issue 7, I accept that the complainants had agreed to approach the medical practitioners themselves as a cost saving mechanism. There should have been a duty on the solicitors to ensure that the complainants knew exactly who to contact. The Act is specific regarding the qualifications required by the medical practitioner completing the form and this was not something that the solicitors explained to Mrs X, Mrs Y and Mrs Z. The LSS has already upheld the complaint that the solicitors failed to provide the complainers with clear advice and instructions as to the format of the medical reports required. The Committee stated that the solicitor had an obligation to ensure that the complainants were aware of the required terms of the Act. Applying this same logic, it would appear equally that the solicitors failed to provide the complainers with clear advice in relation to the appropriate medical practitioners to approach as this was also a specific requirement under the Act. I do not think that the LSS has looked at this complaint consistently and in line with the other complaints that it has already decided. Regarding Issue 9 – I think that too much weight was given to the fact that £500 was paid on account. 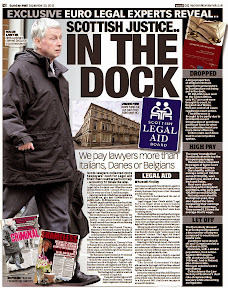 I do not think that this shows one way or another whether the solicitors told the complainants about civil legal aid. I think that the LSS could have simply stated that there was insufficient evidence to uphold this complaint rather than attaching so much importance to the £500. Failure of the Law Society of Scotland to comply with a recommendation from the Scottish Legal Services Ombudsman arising out of an Opinion by the Ombudsman on the Law Society’s handling of a complaint. Following the death of the complainer’s husband, the complained of firm of solicitors handled the administration of his estate. The complainer complained of a lack of information from the solicitors which put her in difficult circumstances. The complaint has been considered by the LSS. The LSS decided not to investigate some of to the issues raised and subsequently closed its complaint file when it appeared the complainer had abandoned the complaint. When I examined the matter although concluding the LSS handled the complaint in a generally satisfactory manner, I was concerned at the speed with which the decision was taken to close the complaint file. Part of that concern was that the complainer may not be familiar enough with the British system to manoeuvre her way through it at a particularly distressing time. I had observed the LSS Sifting Panel’s comments that further information should be sought on the solicitors’ alleged failure to communicate with the client. In light of those comments I recommended the LSS consider whether to provide the complainer with another opportunity to give the LSS the information it had requested. I considered it reasonable for the LSS to set a clear time limit to receiving that information. As I considered the speed of decision to close the complaint file had inconvenienced the complainer I recommended the LSS should pay her £25 in compensation and £10 towards the cost of bringing her complaint to me. The LSS’s reasons for not accepting the Ombudsman’s recommendations. The LSS does not accept my recommendations. Its stated view is that the Ombudsman had recognised the LSS provided the complainer with a letter stating clearly if she did not respond within 14 days then the file would be closed. The complainer was not in touch within that period and the file was then closed. The question then arises as to whether the LSS ought reasonably to have adjusted its process to take account of any special circumstances pertaining to the complainer. The Ombudsman had suggested two such circumstances that the complainer might not be familiar with “the British System” and secondly that she was going through a distressing time. The LSS stated has two sources of information to indicate that understanding English or a “British system” was not an issue for the complainer. She had stated she was not a native English speaker but thought her level good enough. The LSS said the standard of correspondence from the complainer was very good. If the LSS treated all non British people differently or automatically adjusted its process without due cause then that could be seen as discrimination in itself. In the LSS’s view each situation required to be looked at objectively in order to form a reasonable conclusion. In this case the complainer had not indicated she had any special needs and it was reasonable and supportable that her English was not at a level where it would be a barrier thus requiring an adjustment to the process. The LSSS had taken advice from its Head of Diversity in reaching this considered view. The LSS noted the Ombudsman’s second contention was that the complainer was suffering a distressing time. That was sadly very much the case. It was also very unfortunately often the case for many complainers if not nearly all to be in a distressing situation upon contacting the LSS. Often the reason they have contacted a solicitor is because they have suffered a distressing life event. It is therefore doubly distressing to have to require to make a complaint on top of that. There was in the LSS’s view no good reason why it required to adjust its process to take account of the complainer’s situation. I considered the LSS response had failed to address the concerns I had identified and had concluded that when linked together amounted to circumstances that merited the LSS contacting the complainer for further information albeit with a very specific deadline. I had drawn the LSS’s attention to the specific but linked difficulties i.e. by implication the exceptional circumstances the complainer faced. I considered the LSS’s response separated these concerns, appearing to examine them as unrelated matters. I had referred to the complainer’s knowledge of “the British System” but there was however no special pleading with regard to her knowledge of the English language which is how the LSS had interpreted that reference. The problems identified were in relation to how solicitors carry out their functions and how the Inland Revenue operates. Both of these are to do with the legal and tax systems in Scotland and Britain. The other linked concern I highlighted was in relation to the complainer’s personal circumstances. I agreed many complainers who approach the LSS experience similar and no doubt even more distressing circumstances. The complainer’s situation was cited as only one of the concerns I had identified. I had also set my recommendation in the context of the view of a LSS Sifting Panel that the complainer should be asked for further information on the solicitors’ alleged failure to communicate with her. I confirmed my appreciation the LSS’s 14 day time limit for replies from complainers can move things on successfully. I had however in the past identified a concern which continues in light of this LSS response with the differing time limits allowed to complainers and to complained of solicitors. The matters I had identified gave me enough concern to recommend the reconsideration by the LSS of its decision. Those matters were deliberately linked in the recommendation to underline that view. In its response to my views the LSS confirmed it adhered to its initial response. The LSS felt it had acted fairly albeit appreciating the complainer in common with many others found herself in highly distressing circumstances. This is a complaint which raises issues of the use of reasonableness when examining all a complainer’s circumstances relevant to a complaint. My view remains that in this case it is not a matter of language but of a lack of familiarity with both the legal and the tax systems in Scotland. The LSS is also aware that I consider time limits are necessary and important to a complaints process and hence why I took care to specify in the recommendation that it was reasonable for the LSS to set a clear time limit to receiving that information. However as the time limit for a complainer is 14 days rather than the 21 days statutory time limit for solicitors, I consider that a tight deadline and in particular not that long when it the result is to exclude someone from a complaint process. I agree with the LSS that complaints have to be managed and setting time limits is an important part of that process. However it is a very serious step to throw a complaint out of a complaint system leaving a lay complainer nowhere else to go - save court and so I consider these cases very seriously. My conclusion remains that the complainer’s circumstances when taken as a whole merited the LSS using the flexibility available to it to give one final and limited opportunity for the complainer to provide the information the LSS required. I concluded in simply adhering to its formal response the LSS has failed to appreciate and therefore give appropriate consideration to the actual terms of my recommendation. True to tradition, when faced with the possibility of payout due to negligence in any field, be it medical, legal or financial, the lawyers are wheeled out on behalf of affected organisations to argue against any legislation or reforms which may adversely affect their paymasters. 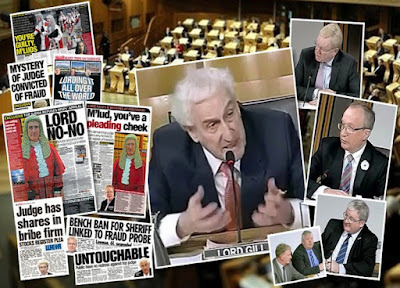 This is exactly what happened on Tuesday when insurance lawyers attended the Scottish Parliament's Justice Committee hearings on the Damages (Scotland) Billl, to argue against the legislation which is intended to overturn the recent House of Lords ruling against compensation to asbestos victims. I found Dr Pamela Abernethy’s presence on behalf of the insurers not much of a surprise, as she works for the well known Edinburgh legal firm of Simpson & Marwick WS, who are also lead representatives to the Master Insurance Policy of the Law Society of Scotland which insures all solicitors from negligence and other financial claims from clients who have been wronged by their ‘crooked lawyer’. 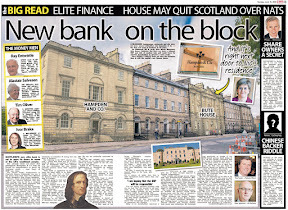 Now that I see legal agents to Marsh UK appearing in the story, I would just like to remind you all that Marsh UK also provide the Scottish Government and the Scottish Parliament with a wide range of insurance services for many of their departments, which also includes indemnity insurance coverage of the type which Dr Abernethy specialises in. This also includes providing insurance services to the over one hundred lawyers working for the Government Legal Service for Scotland who get their annual subscriptions paid for by the taxpayer ! 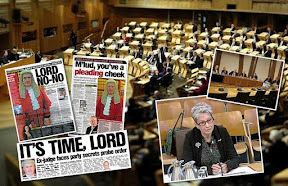 To sum that up, the lawyers arguing against the Damages (Scotland) Bill, are insured by the same insurers who are arguing against the Damages (Scotland) Bill, and who also insure the same Scottish Government who are sponsoring the legislation to help asbestos claims overcome the recent House of Lords ruling against pleural plaques. Anyone think there may be some problems ahead ? Having the same insurers, legal firms and professional indemnity insurers all mixed up with the Government, the Parliament and even the lawyers of asbestos victims ? I am not particularly surprised by the lengths the insurance industry will go to prevent themselves having to pay out over asbestos claims, or any claim involving negligence. The legal profession has been conducting this exact same policy for decades, arguing that solicitors abusing clients is actually a good thing, and those solicitors, albeit crooked, shouldn't need to pay out for their misdeeds .. the only difference of course, is that precious few politicians are willing to speak out on such issues, as the various professions and industries usually fund their political parties. 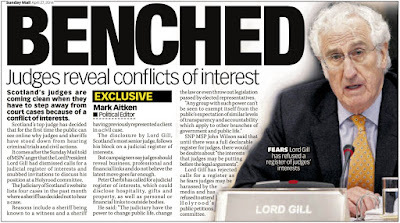 Well, at least the Convener of the Justice Committee, Bill Aitken, will know all about the ways of the insurance industry and their lawyers against claimants, as Mr Aitken spent most of his life working in it. 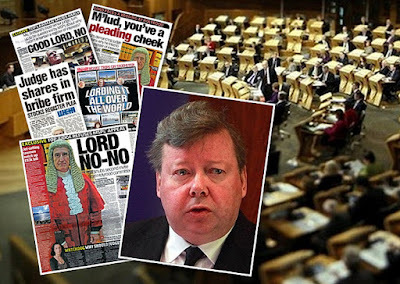 The Damages (Scotland) Bill should succeed in its effort to reverse the unjust ruling from the House of Lords against asbestos sufferers, and on that, I must at least commend the SNP for their effort in this area, if the effort is pressed home to the successful passage of the Bill into Law. Insurance lawyers and MSPs have clashed over claims that the lung-scarring condition pleural plaques could be a "good thing" because it proved the body's defences were working. 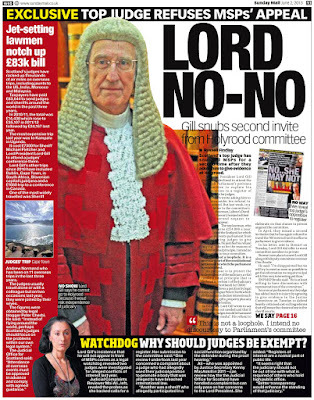 The insurance industry yesterday argued strongly against proposed Holyrood legislation designed to overturn a House of Lords ruling that compensation for the condition should be scrapped because there was no proof that it was harmful. Bill Butler, Labour MSP, was among those who repeatedly questioned industry experts on their definition of the condition. Dr Pamela Abernethy, of the Forum of Insurance Lawyers, said: "The consensus is that pleural plaques are simply the body's physiological response to the presence of foreign fibres." She said the fibres were then "walled off," adding: "The body's defence system is operating to prevent them from causing harm. "My submission is that plaques are a good thing, they don't cause harm. These plaques are markers of exposure to asbestos." Pressed on the statement, she said the presence of the condition was unreliable because people without plaques could develop illness. 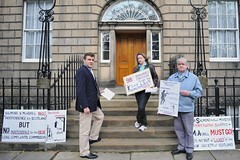 Dr Abernethy was giving evidence to MSPs over the Damages (Asbestos-Related Conditions) (Scotland) Bill. The bill is intended to reverse a decision by the House of Lords that people with the condition cannot claim compensation. Defenders of the plan, including Clydeside Action On Asbestos, said the scarring on lungs indicated past exposure to asbestos and could point to a higher risk of developing mesothelioma, a deadly cancer. Gilbert Anderson, the forum's regional representative for Scotland, said the bill was "well-intentioned" but wrong in law. Nick Starling, director of general insurance and health at the Association of British Insurers, said his stance against the bill was based on the House of Lords decision. "Pleural plaques are benign. They do not have any symptoms associated with them, except in the most exceptional of cases." 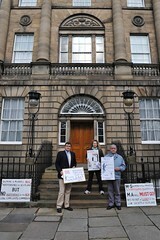 However, Harry McCluskey from Clydeside Action On Asbestos said: "To me there should be no argument here today. Pleural plaques should be compensated." 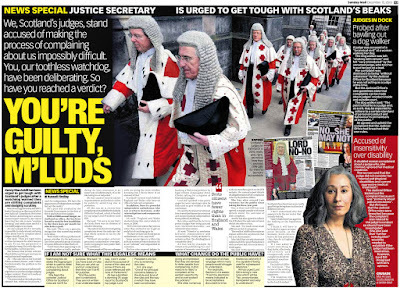 While the Glasgow Bar Association was reported in the media for using a public relations firm to 'criticise' legal aid reforms, it seems the Law Society of Scotland held a 'special general meeting' to add to the weight of the GBA's efforts, a meeting which was called by the Glasgow Bar Association itself, resulting in the Law Society conveniently condemning the recent summary criminal legal aid reforms. Late last night, an insider at the Law Society alleged the GBA's efforts using MMM, a public relations firm, were known about and discussed among many attending the Law Society's 'special meeting' on the 22nd August 2008 .. despite a reference in one of the Law Society’s Press Releases of the meeting feigning ignorance over the arrangement of the ‘special general meeting’ quoting Oliver Adair, the convener of the Society’s Legal Aid Solicitors Committee : “Oliver Adair added that it was puzzling why the Glasgow Bar Association (GBA) had called the SGM at this time.” If anyone believes that, raise a hand … or a glass ! 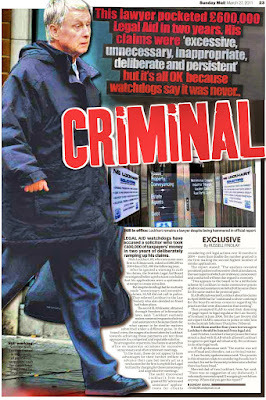 Did Mr Adair know of the GBA’s media manipulation work on legal aid reforms ? 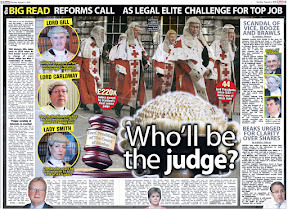 … that remains to be seen, but it is now confirmed from sources the Law Society of Scotland, which, as the lawyers Governing body should have known of such an operation carried out by its members to 'influence' media coverage against legal aid reforms, did know of the GBA's spin attempt against the legal aid reforms. 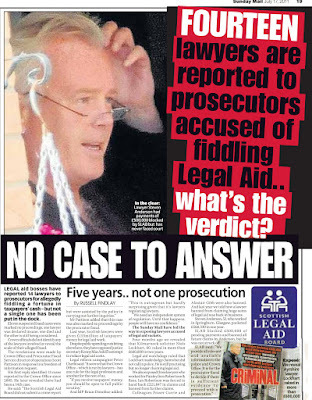 Did the Law Society of Scotland know of lawyers media fixing operation over legal aid reforms ? 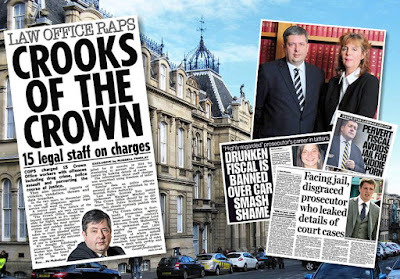 Since it now transpires the Law Society of Scotland itself were 'in the know' of the spin effort by the GBA to criticise criminal legal aid reforms, thoughts must now turn to who else knew the story .. such as perhaps, the Justice Secretary Kenny MacAskill himself ? The effort of 'negotiation' by the Law Society of Scotland to raise the legal aid payments for summary criminal legal aid work certainly now looks duplicitous to say the least, but isn't that the case with just about everything involving the Scots legal profession as a whole these days ? 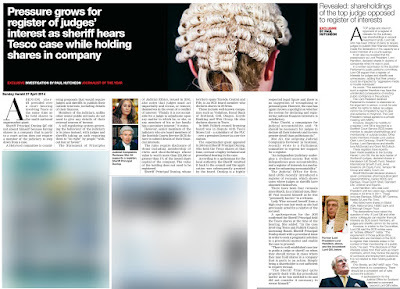 Here follows the Law Society's two Press Releases, issued the same weekend as the Sunday Herald's first expose of the Glasgow Bar Association's spin effort which are reprinted here to give readers an idea of the Law Society's 'matching effort' on legal aid to that of the GBA. Evidently, the Society felt it important to make two releases ...given there was to be critical press coverage over the weekend of the Scot's legal profession's stance on summary criminal legal aid reforms. Solicitors should remain at the heart of the process to monitor the effect of the reforms to summary justice and recent changes to the legal aid payment structure, the Law Society of Scotland will tell a debate this week. The debate at a Special General Meeting (SGM) at the Society’s Edinburgh headquarters today (Friday, 22 August) will consider the impact of the reforms introduced earlier this year. Oliver Adair, the convener of the Society’s Legal Aid Solicitors Committee, will stress to delegates the value of remaining part of a process for reviewing the reforms with the Cabinet Secretary at the end of the year. He said: “The Society shares the concerns of many of our members about the reforms to legal aid, particularly the overall drop in the budget. “However, we have already held positive negotiations with the Scottish Government and won a number of important concessions on behalf of the solicitors’ profession. We believe those reforms are the best deal currently attainable in extremely difficult circumstances. Oliver Adair added that it was puzzling why the Glasgow Bar Association (GBA) had called the SGM at this time. He said: “The Society has set up a Monitoring and Evaluation Group to take soundings from the profession so it is puzzling why they have called this meeting. A motion supporting the Society’s representatives on the Monitoring and Evaluation Group will be put to the SGM. 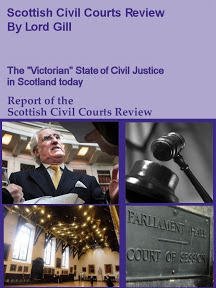 • The summary justice reforms had the unanimous support of all parties in the Scottish Parliament. Where the reforms required legislative change, provisions were included in the Criminal Proceedings etc (Reform) Scotland Act 2007. The reforms were introduced in March 2008. • Changes to the system of criminal legal assistance were introduced to complement the summary justice reforms, in particular, to encourage the early resolution of cases. The new legal aid system was introduced on 30 June 2008. 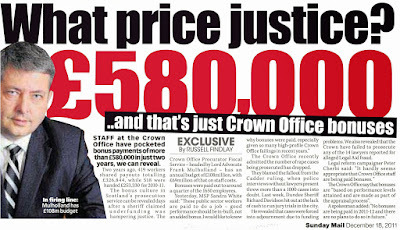 • Kenny MacAskill, the Cabinet Secretary for Justice, agreed to an “open and transparent” review of the reforms. A meeting with representatives of the legal profession and others involved in the review process is due to take place in December 2008. Solicitors from across Scotland today, Friday, 22 August, gave overwhelming backing to the Law Society’s policy of reviewing reforms to the system of criminal legal aid. Around 60 solicitors, mostly involved in criminal legal aid work, attended a Special General Meeting (SGM) at the Society’s Edinburgh headquarters. 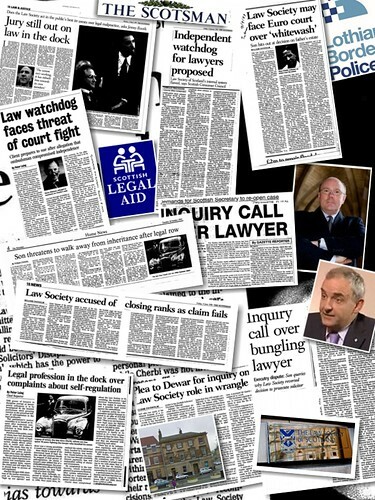 Pledges of support had also been given to the Society by more 350 solicitors from throughout the country. A motion supporting the Society’s representatives who are monitoring and reviewing reforms to summary criminal legal assistance, which were introduced earlier this year, was passed unopposed. 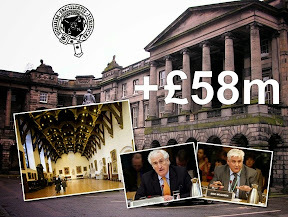 A further motion, also passed unopposed, described cuts to summary criminal legal aid as “unacceptable” and urged the Society to press the Scottish Government to ensure savings in the overall criminal justice budget were reinvested in legal aid. A third motion condemned the increase in bureaucracy caused by the reforms. It was also passed unopposed. 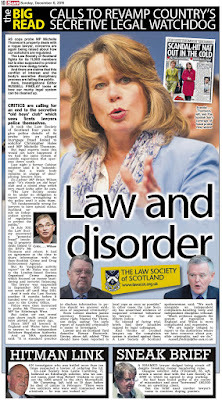 The SGM was called by the Glasgow Bar Association (GBA) to debate the reforms and future of legal aid. The GBA supported the continuing involvement of the Society’s representatives in the review, though declined to re-join the process. Oliver Adair, the convener of the Society’s Legal Aid Solicitors Committee, stressed to the meeting the value of remaining part of a process for reviewing the reforms. He urged members of the profession to continue to feed back any concerns over the reforms. They will be put to the Cabinet Secretary for Justice, Kenny MacAskill, at a meeting due to take place in December. The minister has said he will consider rectifying any anomalies identified during the review process. Further consultation will then be staged with the profession and a meeting held early next year to gather further feedback. * The summary justice reforms had the unanimous support of all parties in the Scottish Parliament. Where the reforms required legislative change, provisions were included in the Criminal Proceedings etc (Reform) Scotland Act 2007. The reforms were introduced in March 2008. 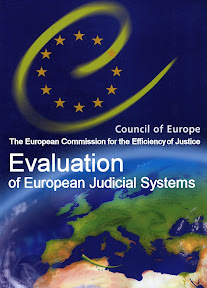 * Changes to the system of criminal legal assistance were introduced to complement the summary justice reforms, in particular, to encourage the early resolution of cases. The new legal aid system was introduced on 30 June 2008. * Kenny MacAskill, the Cabinet Secretary for Justice, agreed to an “open and transparent” review of the reforms. A meeting with representatives of the legal profession and others involved in the review process is due to take place in December 2008.